Motorcycles are a blast to ride. There is nothing like that feeling of freedom. However, every day, people are injured or killed in motorcycle accidents on the freeways, highways and roads in Oakland and throughout Northern California. In fact, each year approximately 500 motorcycle accidents happen across the state of California and nearly 55 people die in California motorcycle accidents each year. These accidents can take a significant physical, emotional and financial toll on the victims and their loved ones. Our law firm represents clients in a wide variety of personal injury cases involving motorcycle accidents and collisions. If you have been in a motorcycle accident in Oakland, CA or on I-980 or any other major thoroughfare in Northern California, Moseley Collins is here to help you get the compensation you need. Our firm was founded over 30 years ago by Moseley Collins and we have the knowledge and resources to go up against the insurance companies and get you a fair settlement. Have You or a Loved One Been Injured in a Motorcycle Accident in Oakland, CA? Call 1-916-444-4444 to Speak with a Motorcycle Accident Attorney Now. 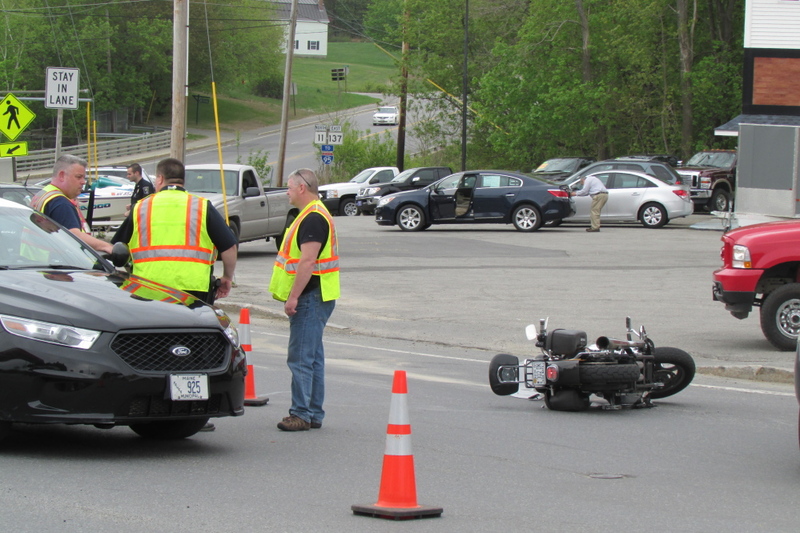 OAKLAND — A motorcyclist from Belgrade was airlifted to a Bangor hospital for care Saturday afternoon, after sustaining a serious head injury when he allegedly drove through a stop sign and crashed into another vehicle in Oakland. The accident occurred at approximately 2:36 p.m. at a five-way intersection of Main and Water streets in downtown Oakland. According to Oakland Police Officer Michael Sayers, witnesses said the 55-year-old man was riding a yellow Harley-Davidson motorcycle on Water Street and didn’t stop at a stop sign at the intersection of Main Street, where the motorcycle crashed into the back end of a Honda CRV. According to Sayers, the motorcyclist was not wearing a helmet at the time of the crash. Departments 201 and 202 are located at the Berkeley Courthouse.